Share Pictures from Mediacorp here! Shining Creature out of the van!! with a marker in hand!! 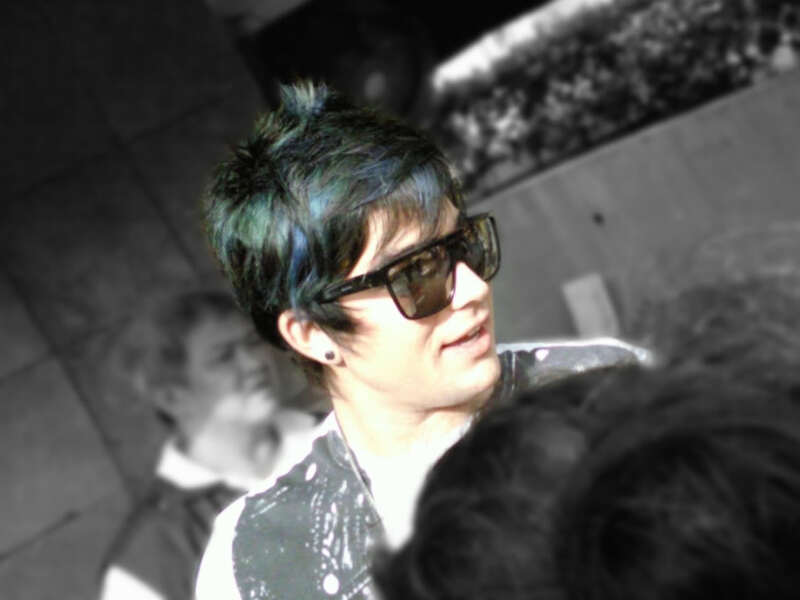 Adam is amazing and so are his hair colours! adamazing! BTW, did he meet you all when he arrived for his interview or after his interview when he was leaving Mediacorp? That's so good of him and SONY to stop the van for him to come out to meet his fans. He looks so happy and looking forward to meet you all. He's such a nice person and so appreciative of all his fans and support that he is receiving. Even though he has tons of fans all over the world, he is still so friendly and appreciative! ADAM ROCKS! Subject: Re: Share Pictures from Mediacorp here!